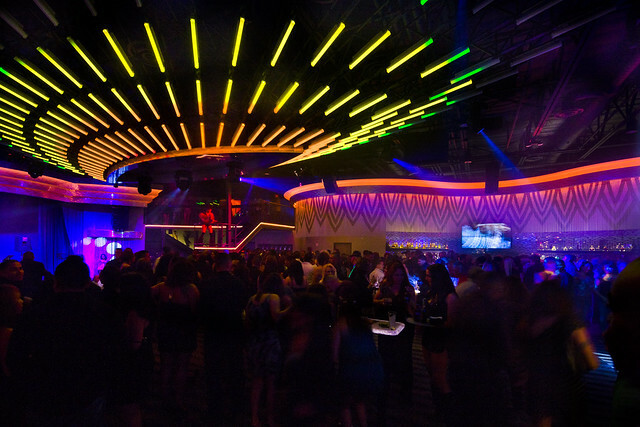 If you own or operate a night club, you should consider adding screen gems to your establishment in order to enhance the clubbing experience for your patrons. These are screens with high-resolution that have the ability to create absolutely fantastic visuals and backdrops that are considered to be life-like. The co-owners of the company LBH Dynamics, Michael Marcoe and Zach Nesbitt, are directly responsible for manufacturing screen gems and other types of screens that are utilized in night clubs and similar types of establishments. In this brief guide, you will learn some of the basics regarding screen gems from these Florida-based professionals. If you are interested in purchasing and setting up a video system in your night club, you will benefit from the information contained here. LBH Dynamics is directly responsible for creating display units that utilize LED lights. The company works closely with the establishments that require video systems, and create units that will enhance the satisfaction of those that frequent those businesses. They ensure that each and every establishment that purchases a unit from them receives a system that is physically accommodating to their needs and operates in a manner that is consistent to the entertainment that they offer. Given the fact that their systems are considered to be high-priced, they know and understand the importance of delivering products that will prove to be financially beneficial for a company, and avoid providing a “One Size Fits All” model because of the fact that many screen gems may be too small to optimize customer satisfaction in those establishments and many may be so large that they make the customers of such an establishment uncomfortable in one way or another. If you want screen gems integrated into your night club, you should utilize a professional to determine what size is most beneficial for your specific establishment. According to Marcoe and Nesbitt, when screen gems are designed, one of the most important things that they focus on is referred to as the “Pitch”. This is the actual distance that is located between the pixels that are located within a LED display. If the pitch of the video system is low, it will have a high level of resolution. This would result in being able to view the screen at short distances. In other words, if you have a small establishment, you can utilize a low pitch system. However, if you have a large establishment, you would need a video system that has a high pitch system. When opting for a system, it is essential to ensure that you consider the viewing area of your customers at your night club. You should never opt for a system that is right off the shelf because, when doing so, you may actually reduce the satisfaction of your patrons due to the fact that it could be too low of a pitch or too high of a pitch for your building. In addition to determine the pitch for your establishment, you must consider how much money you are willing to invest in the video system that you want to obtain for your night club. You should ensure that the unit has the capability of delivering enough satisfaction to your patrons that they frequent your establishment more often, spend more time there and spend more money while in your night club. This is why it is important to make certain that the video system is suitable to the size of your business. However, these are not inexpensive. On average, you will spend anywhere from $120,000.00 to $300,000.00 for the unit. If you want a high-end system, you will pay higher prices. However, you must ensure that the unit will yield a high return on investment. By utilizing screen gems in your night club, you have the ability to attract new customers and higher levels of success; but, you also have the ability to lose money. Researching screen gems and choosing a suitable manufacturer and distributor are the keys to your success and the success of your night club.